Here's a little round-up of what's moving on and off my kitchen table (since I don't have a sewing room, lol). 1. My Make Modern project. This is a great scrap quilt I'm working on for issue 20 of Make Modern magazine (affiliate link). I'm quilting it now and did you see my little snafu with the quilting I chose? Oops! 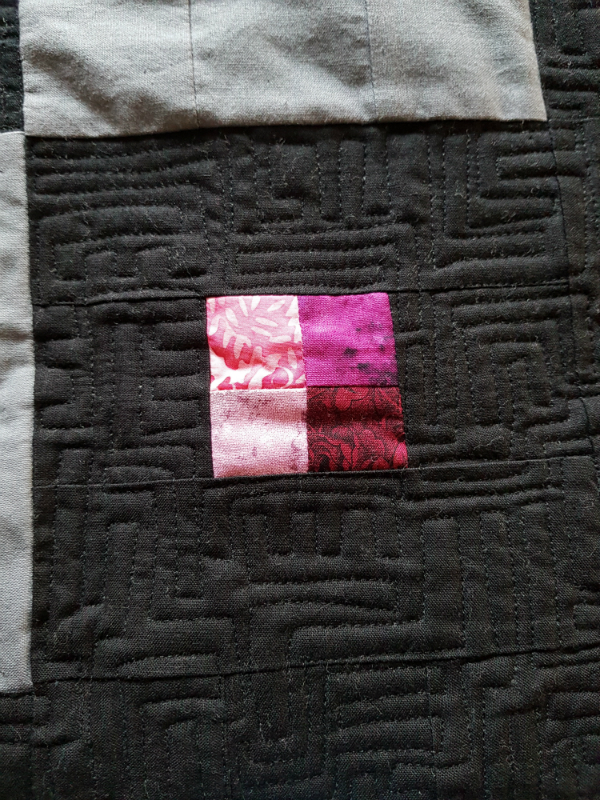 At least I like the square meander, so I'll still be happy with the quilting because you can be sure I wasn't going to rip out all that quilting. This was one of my designs for the first 30 quilt designs challenge, with Rachel of Stitched in Color. I tried resisting starting it, especially since I already had my Scattered Stars epp quilt started, but the resistance didn't last long. I had been picking away at it slowly and I had the red double round finished along with some hexies basted in other colours. There's a challenge on IG now called 100 hexies 100 days and the idea is to baste at least 1 hexie each day for (you guessed it) 100 days. We're past the halfway point of the challenge already and most days I baste more than 1, so I've done 247 as part of the challenge. My little tin is getting full! Along with basting the hexies, I have done a bit of sewing them together. I've started working on the orange double round now. I have all of the hexies basted for this round, so it's just a matter of taking the time to sew them together. I'm really loving how this looks so far! I hardly know what to call these now that the quilts for the residents have been delivered 😊 I have an official count of how many I need for the employees (10) and our town's first responders (31), so I'm working on getting those ready. There are 18 finished now, and 3 more that just need binding. I'll present the quilts to the employees once I have 10 feminine quilts finished, since all of the employees are women. Most of our first responders are men and I'm hoping to have enough masculine/neutral quilts that none of them end up with super-flowery quilts. So that's what's on the go for me. Plus there are a bunch of projects swirling around in my head, or partially finished and abandoned (for now), but still calling my name. Why aren't there more hours in the day? I can tell you one thing for sure - I'll never be bored! 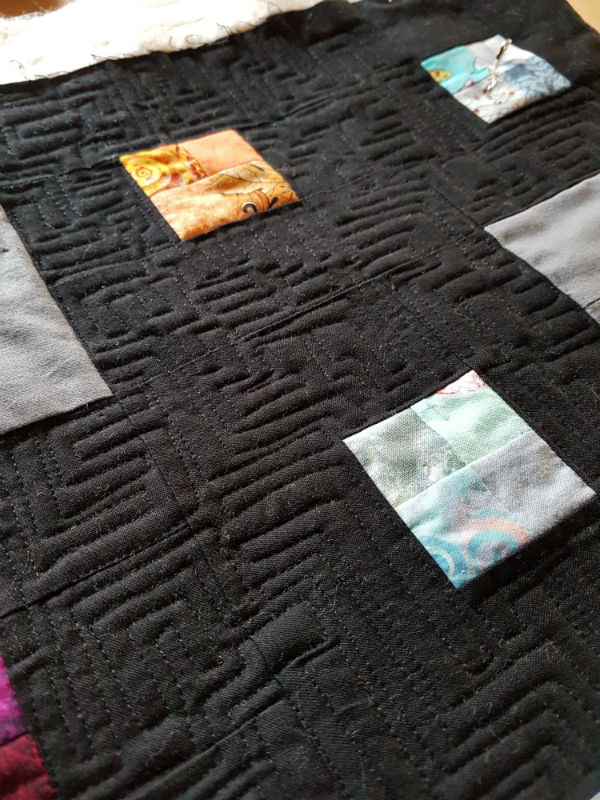 The quilting looks great, and I agree: no need to rip out all that hard work! 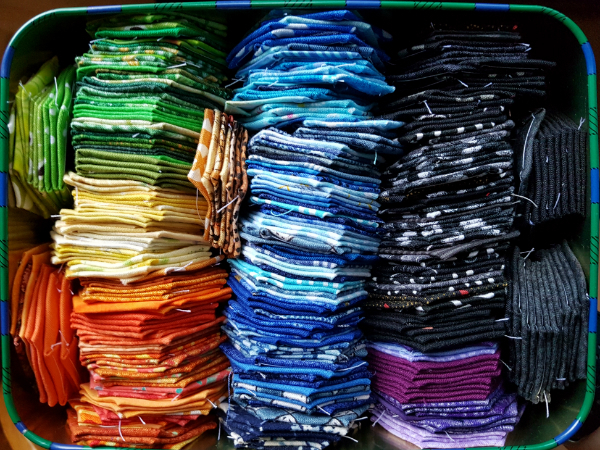 The hexie project is going to be beautiful. And last, but certainly not least, thank you so much for all your continued effort on the quilts for the seniors displaced by the fire and those who helped. The plan to pass on the other tops makes great sense to me and seems like a perfect fit. You get so much accomplished... where do you find the time? And yes pass on the quilts to those who need them. All so pretty! Love that red and black combo! I always love seeing your hexi projects. This one is awesome. I am impressed with everything else you have going on. After working all day, cooking dinner (and the cleanup - hubs tries but...), sometimes I just don't feel like sewing - although it is relaxing. I'll set my timer for 15 minutes. At the end of 15 minutes it's amazing what I accomplished and how much better I feel. So I can see how those 1 hexy/day things could add up to something wonderful. Great job. Many thanks for all the nursing home quilt updates and lovely pics. Your tremendous efforts are greatly appreciated. 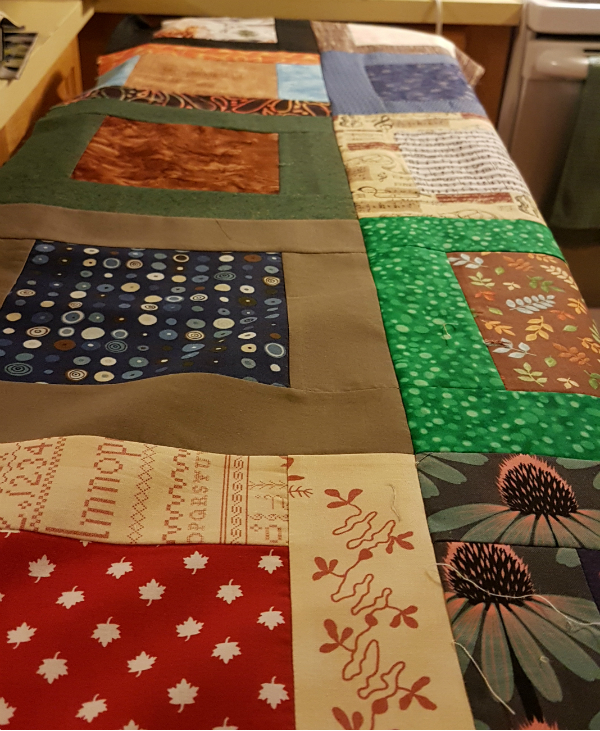 Should you find yourself in need of anything else in order to finish the other quilts, please post your needs.